Every time one hears a news story about accidents on amusement park rides, or slip and fall accidents in grocery stores, they are hearing about a potential lawsuit under a legal theory called premises liability. 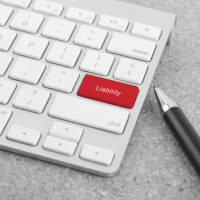 Premises liability is a common basis under which to bring a lawsuit in Florida, though many who try are unsure exactly what it entails to do that. If you have been injured in an accident that you believe is due to someone else’s negligence or reckless conduct, you may be able to show that they failed in their duty to keep their premises safe. Premises liability is an ancient concept dating back to English common law, and it holds that a landowner or proprietor of a business has the common-law duty to ensure their property is as safe as it can reasonably be expected to be for all who enter onto the land. However, what qualifies as ‘reasonably’ safe will differ depending on the class of the person in question, as Florida law has followed the common-law tradition and created three classes of plaintiff in premises liability cases. Trespassers, who have no right to be on the land at all. All these classes of people are owed different levels of due care by the owner or operator of the premises in question. The levels of due care owed to each class of plaintiff differ notably under Florida law. Invitees are afforded the most protection, with the owner being required to maintain the premises in a reasonably safe condition and warn if a condition cannot be made safe. Licensees are accorded somewhat less protection, with no duty existing to make the property safe for them or inspect to ensure no dangers have appeared. The only duty to trespassers, by comparison, is to avoid from intentionally harming them. There is an exception to these rules, and it comes when the trespasser is a child. Florida law enshrines what is called the “attractive nuisance” doctrine, which holds that because they are too young to appreciate the nature of their actions, trespassing children may be able to bring suit against a property owner if they were lured onto the land by an “attractive nuisance” – something that can be seen as “enticing” or having the capacity to “trap” a child. Specific examples include abandoned refrigerators, dryers, trunks or anything airtight, and swimming pools. While injuries happen, they should not happen because of another person’s recklessness or indifference to their own conduct. If you have experienced an accident on someone else’s property, you may have a premises liability claim worth pursuing. The Tampa personal injury lawyers at the Rinaldo Law Group are happy to sit down with you and try to help answer your questions. Call our offices today at 813-831-9999 to set up an appointment.